Cataracts and glaucoma are common terms that you've probably heard in an eye doctor's office. Both cataracts and glaucoma are usually seen in patients over the age of 60. These eye conditions are a part of the natural aging process of your eyes. Many people do not know the differences between the two, and they are often confused with each other. Glaucoma is a type of eye disease. This eye disease will slowly take away your vision with no symptoms being present at all. The optic nerve is damaged, and this causes the vision loss. Many health professionals attribute the damage to high inner-eye pressure. In the front of the eye there is a chamber. Fluids will rush in and out of this chamber continuously. It's believed that when the fluids begin to build up and pass through the chamber and nerves too slowly, then pressure will begin to build up. The optic nerve will be damaged by this pressure; thus vision loss occurs. There are several ways that an eye doctor can detect glaucoma. Most likely your eye doctor will dilate your eyes. They can check behind your eyes with a special magnifying glass. Another test shoots a puff of air into your eyes to check the pressure. With early detection, your eye doctor can help prevent glaucoma. There are several medicines that you can take to help prevent the disease. There are even some surgeries that are available for patients. Your eye doctor can explain these treatment plans to you. Unfortunately, there is no cure for glaucoma yet. A cataract occurs when the lens of your eye becomes cloudy. Most cataracts occur in people age 80 and over. The lens of your eye is what focuses on objects. If the lens becomes cloudy, then the image cannot be seen by the retina. Those with cataracts will still be able to see, but their vision will be very fuzzy and cloudy. The lenses of our eyes are made mostly of water and proteins. As we age, these proteins may begin to clump together. When they clump together too much, then a cataract will become more present. It is important to have a yearly eye exam done. 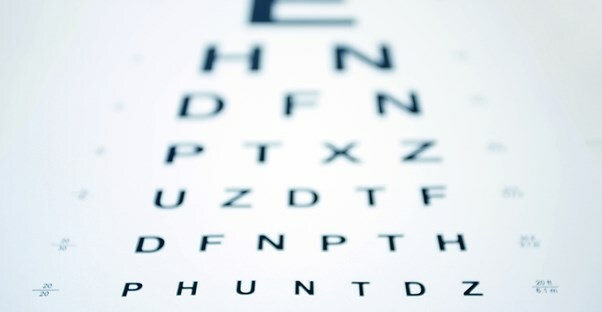 Your eye doctor will be able to detect a cataract through simple eye tests. Unlike glaucoma, cataracts can be treated. Some patients will need to get newer glasses with magnifying lenses. If these do not work, then surgery is the only option. The doctor will remove the cataract and replace it with an artificial lens. Cataract surgery is very effective, and many patients can tell a big difference within just a few days.